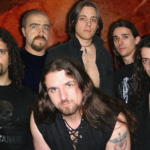 Derdian, a power metal band from Milan, Italy, performed in Bandos Island Resort, on the 22nd of November 2009. They performed for a special VIP audience at a private function. They were accompanied by their producer / engineer. My job was to configure and tune the system and help out their producer in FOH mixing, to cater for the requirements of the client.